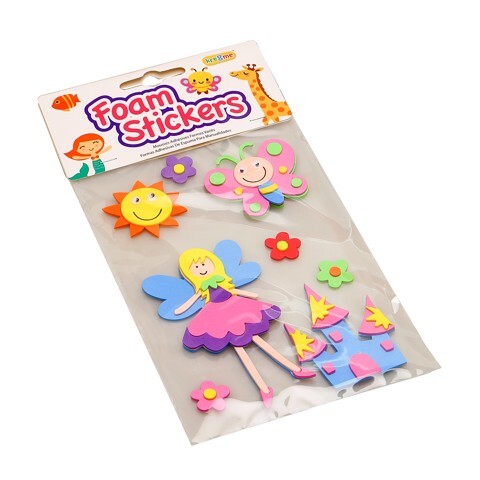 Foam Stickers Girls Des 1Sht. 12 x 24cm. 4 Asst Designs: Girl & Animal | Mermaid & Sea Life | Fairy & Castle | Flowers & Lady Birds. Foam (EVA). 9G Packaging: Polybag with Header and Backing Card.